NewTek has appointed Brian Olson vice president of product management. As a key member of the management team, Olson will lead strategic development for new and existing product lines to guide and design the next generation of products transforming the video industry. 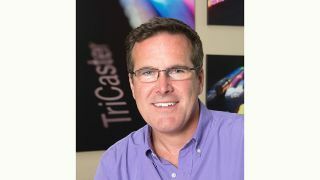 Prior to joining NewTek, Olson was the director of marketing, product management, and business development at Ross Video for XPression, a system for motion graphics. In this role he was responsible for global product strategy, product marketing, and business development for the XPression product line of realtime 3D motion graphics systems. Olson was also the driving force behind Ross’ entry into the virtual set and augmented reality space, culminating in the creation of the Ross Virtual Solutions group.